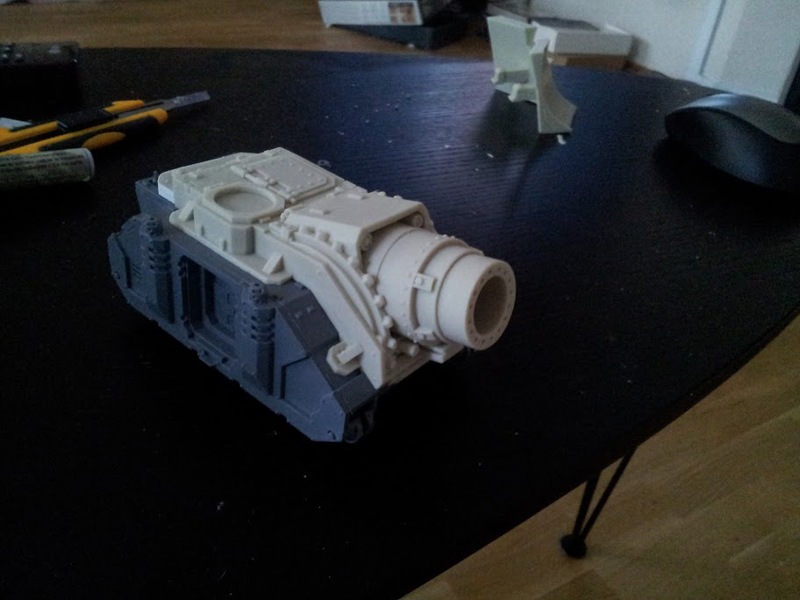 So i got puppetswars new big gun for space marines and chaos space marines. I don´t know jet if i like it or not. It´s a nice sculpt. good detailing. But its big... really big. It comes with some shells and a big plow. But that one is not a size. it look to big next to a rhino body. Like an American would say, that's big! At the first impression it looks more like an orc tank. Maybe if you gave the rhino some extra armour?!? If you have the opportunity, can you show us the plow?